i got this little fellar few days ago. 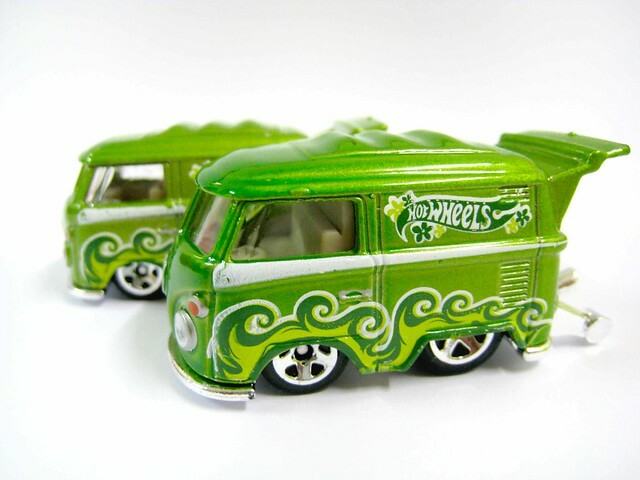 i believe our country is among the first country that received the latest hw case with this Kool Kombi. 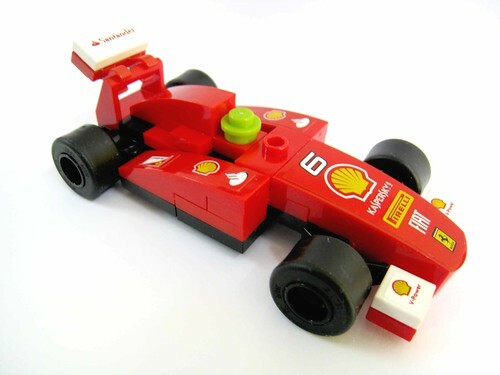 as per the name, this is really a "Kool" car! i have been looking forward to this car ever since i saw the picture of it in the internet. for such a small size, i'm surprise that this little car is pack with weight. 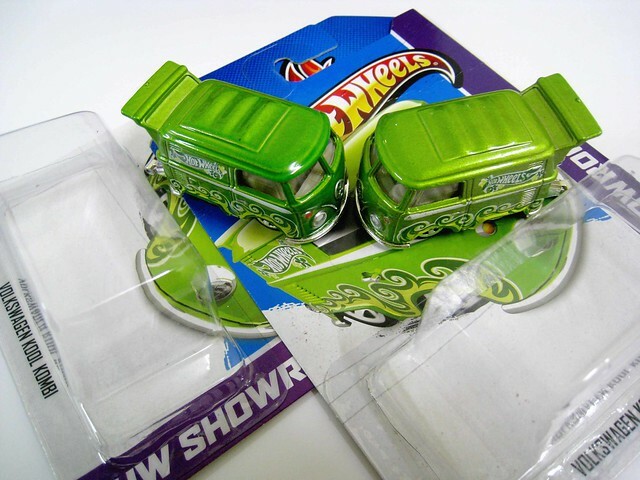 it's easily heavier than any other average hw basic cars. there are surfboards at the back of this little car. cool! look out for the colour variation. 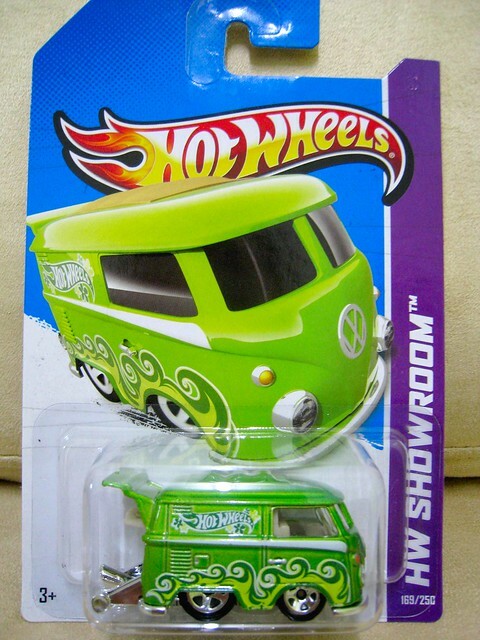 i'm very happy and glad i manage to find this kool kombi. 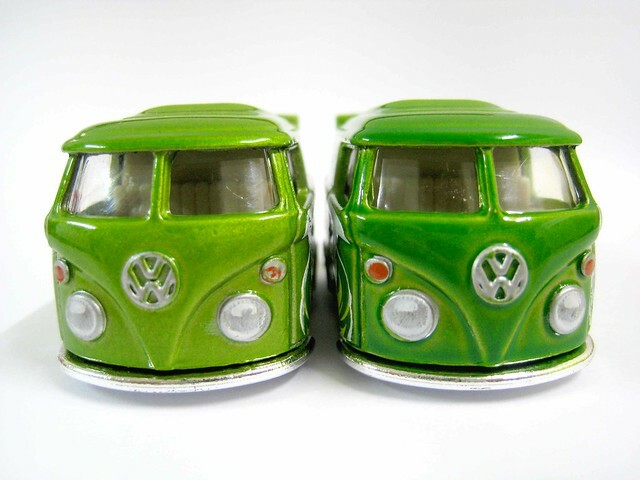 it reminded me of the mini version of dragbus. if you find it on the peg, don't hesitate to bring it home. i'm sure it will not last long on the peg. i have not seen A, B and C case, and now D case is here?? 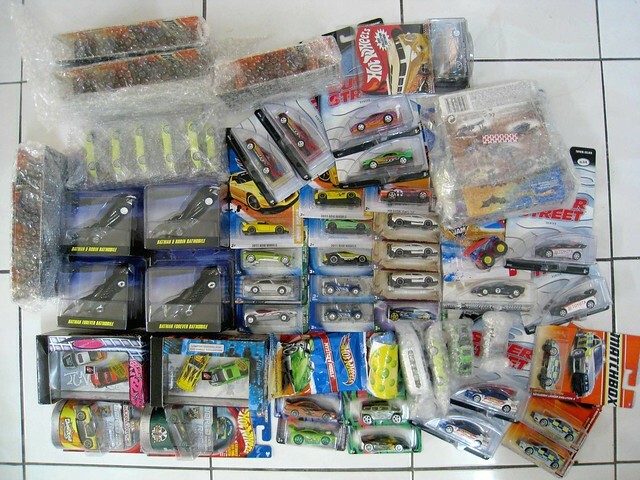 =.=" lots of nice car in this wave. code at the bottom of the car is E43 mix with E42. 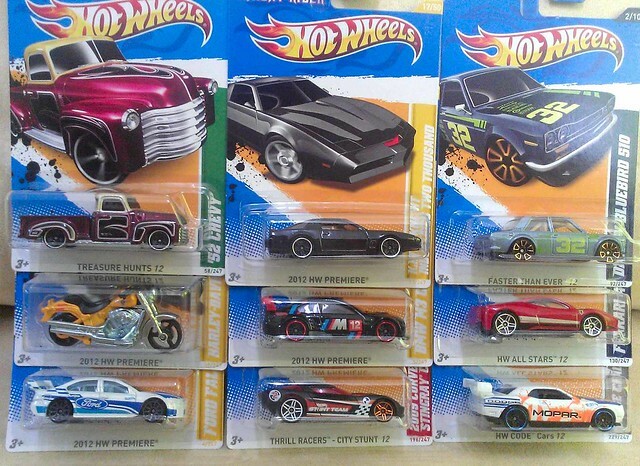 almost all the tesco restock this D case at the moment. they have increase their hw price from RM6.90 to RM7.50, but they are running a promotion of buy 2 free 1 starting today until not sure. oh ya i forgot to mention that the fast fish is the hidden treasure in this D case. 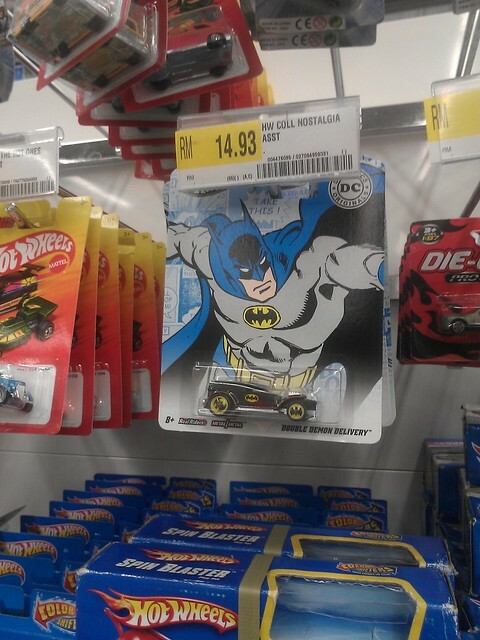 btw one side note, it's good that now mattel printed the car name at the bottom of the card instead of on the side. now i do not need to flip the card one by one anymore to spot the car i want, just squad down and you can clearly see all the car name at the bottom on the card. 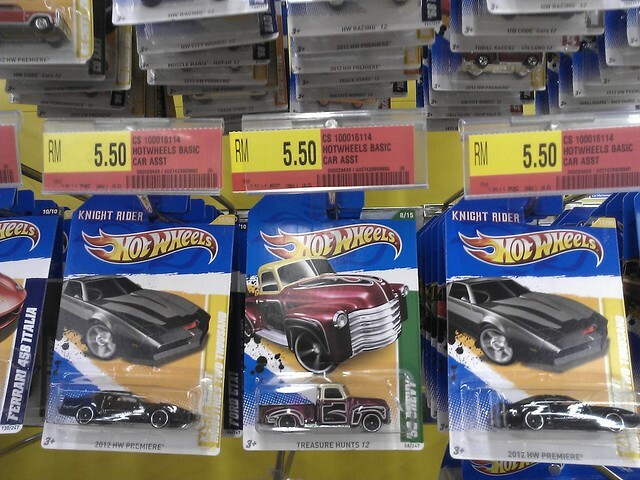 it has been a long long time since i found a hw super TH$ or superise cars, look at what hang on the rack today? i was expecting the minion pig in this wave but non to be found. infact there is no nice cars to buy from the rack except that superise. not sure the case has been filtered or not but if yes, someone must have been careless and leave the ford torino behind. lol. btw there was one small stories behind this find. yesterday me and my colleague was rounding the toys department as usual after lunch. 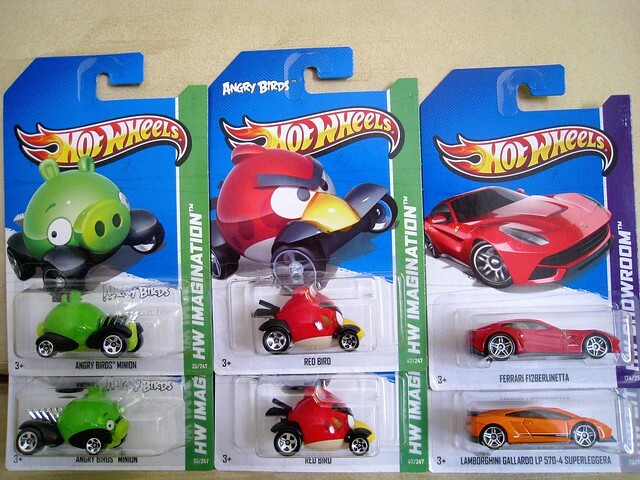 my colleague was not really into hot wheels, but i told him recently hot wheels came out with the angry bird and minion pig and he is very interested to get them. 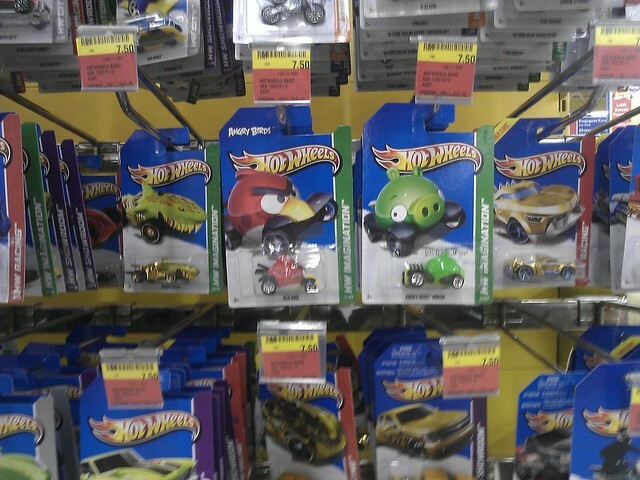 so as usual, we went to one of this department store and start looking for the hw bird and pig. when we arrived at the peg, i notice there was 1 car from then new wave haging on the peg. 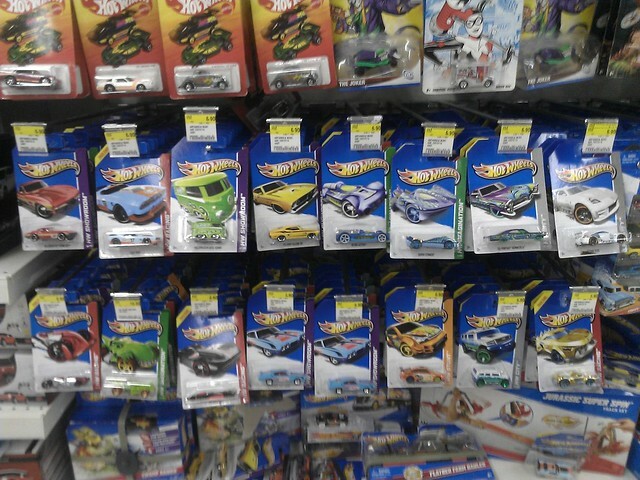 but the strange thing is there is just this 1 car from the new wave on the rack, the rest are those cars from previous wave that has been rotten on the pegs for donno how long already. i was so excited because i think this new wave came with the minion pig so both me and my colleague can get some. 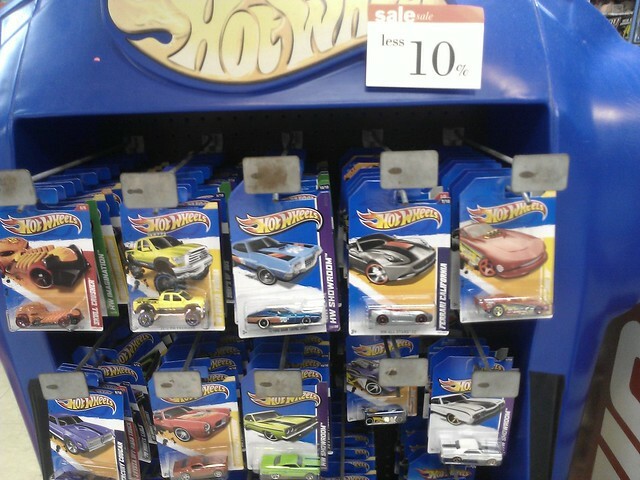 me: sir, do you still have more of this new hot wheels cars that is still not displayed? manager: no more, that's all. me: can you check in your store room? i think they are still in your store room. manager: no more, all hang on the rack already. me: i don't think so because this is the new restock car. those on the rack are the old one. manager: no more. only 1 case come. 2 days ago. must be customer bought all already only this one left. me: it can't be left just one car, one case got 72 cars you mean all sold already? manager: yes just left this one car. me: i'm a collector, i know for sure there is more hw in your store room. this is not the first time i visit your toys department. i have been coming here almost daily for 4 years already. manager: yes i know you are a collector, but no more. me: ok fine if you do not want to bring the stock out then nevermind. it's your sales lost, not me. manager: yes i know it's my sales, no problem, thank you. i just don't understand why the manager is so reluctant to bring out the stock for me to buy. and this is not the first time i ask him already when new stock came. it's not that i want to steal the stock, i want to buy, plus the rack is also half empty! i don't know why he want to lie to me. perhaps he reserved the stock for his prefered customer to come and 'filter' first? or maybe he just want to play a fool with me do not want to let me buy? btw isn't every store main objective is to push more sales? or they have change the objective to keep the more stock in store room? lol. anyway, i went back there again today, and the rest is history shown in above pic. i guess the manager realise it's "DOSA" (sin) to lie that's why today he display everything on the rack. you can lie to a person maybe that come to that place once a month or once a week. but try to lie to a person that drop by the rack EVERYDAY? common la, i know when your stock arrive and i know what day it appear on the rack. don't try to bullsh!t me with all bought by customer or hang on the rack few days already. ok enought rant. close up pic. anyone want this torino it's available for trade. leave me a message here in the comment section. 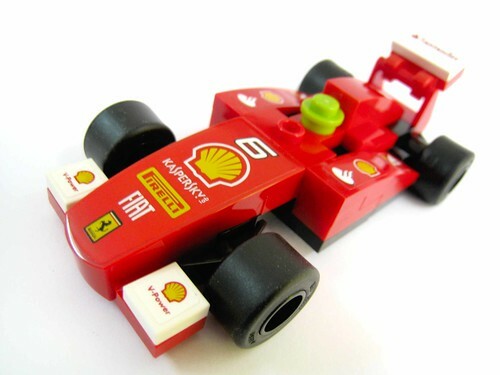 got this Ferrari F150 Italia recently in Shell Malaysia with Lego promotion. notice there were the number 5 and 6 stickers? 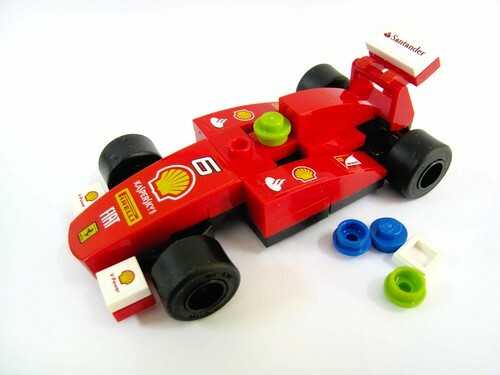 this allow you to choose whether you want to built it as Fernando Alonso car (number 5) or Felippe Massa car (number 6). 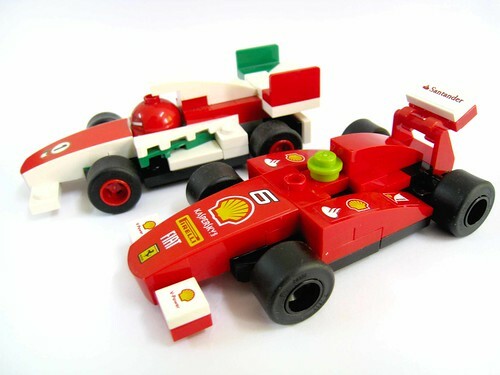 comparison with Francesco (from movie Cars 2). my little daughter says this F150 is Francesco girl friend. lol. 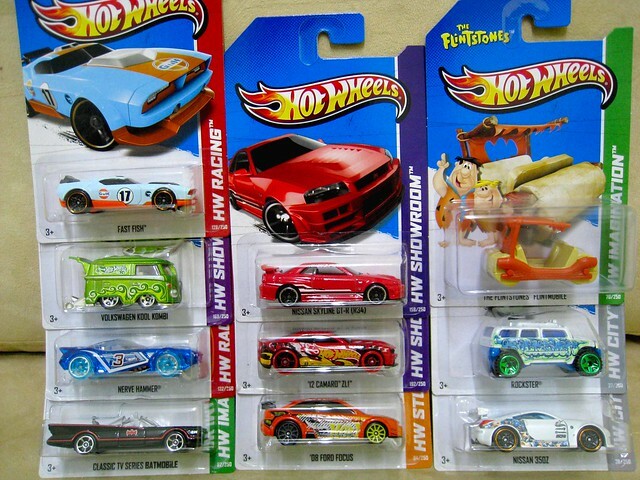 been a while since i actively hunt for hot wheels locally but i was lucky enough to stumble upon some new hot wheels restock recently. 67 custom mustang wave. 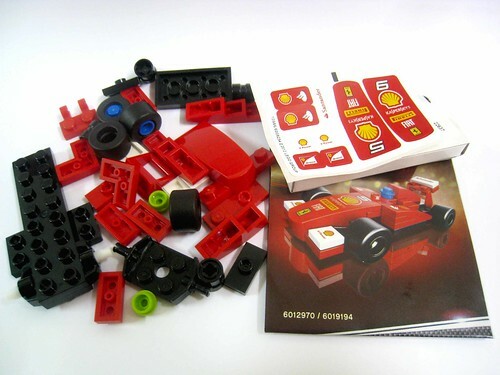 the code under the car for this wave is E01. 52 chevy wave. 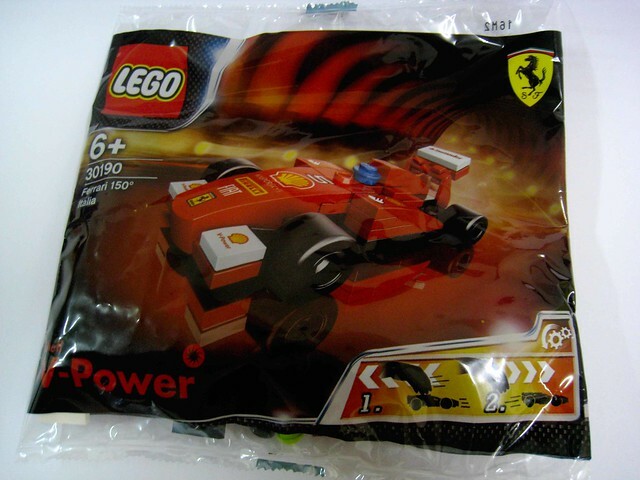 the code under the car for this wave is E03. 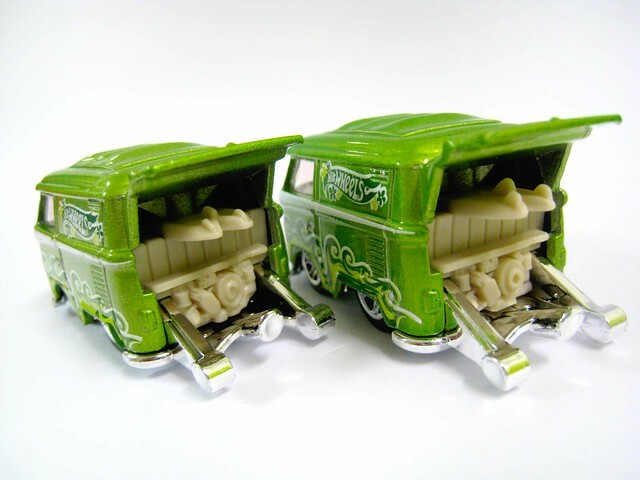 some of the cars that came with 52 chevy wave. it has been ages since i last update my blog. Busy with my family, busy with my work, and most importantly, busy with my life. lol. anyway, received a call from post office today to go and collect my parcel. Didn't expect it to be so many! Normally I will received 2 or 3 parcel from ebay everyweek, but this time somehow they all come together at the same time. 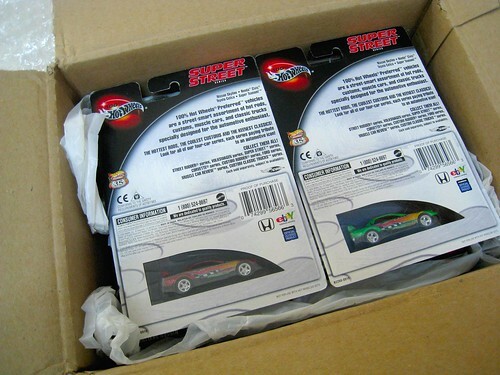 one of the box that contain all the yummy JDM cars. hehe. and here is most of the items from all the boxes. some of the items are not in the pics cause i lazy to arrange them. lol. most of the items will be going to my sales in Low Yatt forum soon. I'm sure you know where to find it. hehehe.